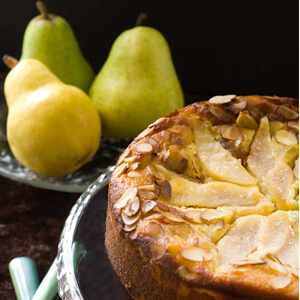 Whole wheat flour kicks the nutrients up a notch in this tasty pear pie. For filling: Core, slice, and peel pears, reserving 3 slices for garnish. 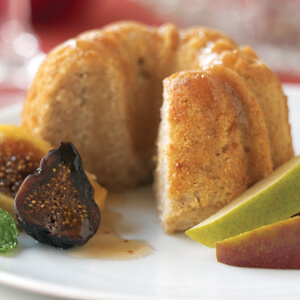 Toss pears with ½ cup sugar, 2 tablespoons whole wheat flour, ¾ teaspoon cinnamon, and lemon juice. Place in pie crust. Sprinkle with topping mixture of remaining flour, brown sugar, cinnamon, and butter. Bake at 350 degrees for 50 minutes. Garnish with reserved pear slices. For pie crust: Combine whole wheat flour with sugar, oil, and milk, mixing well. Mixture will be crumbly. Press into 9-inch pie plate.